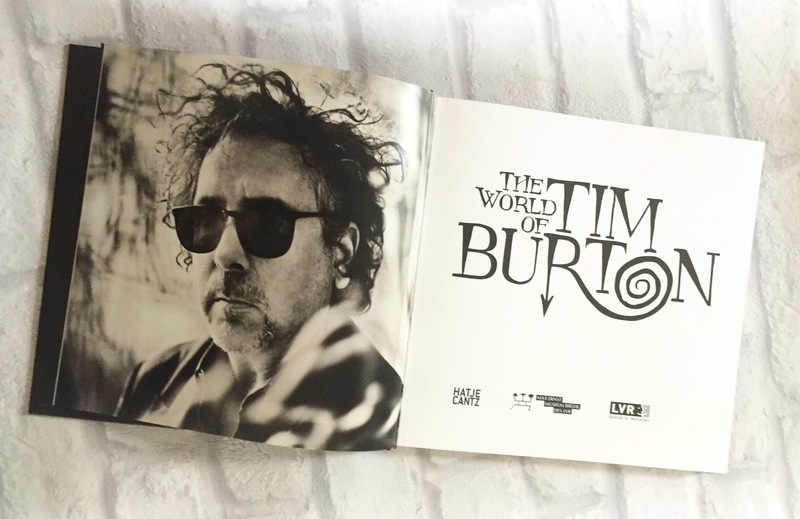 Our Tim Burton week on the blog ends with a review of the exhibition catalogue. The big giveaway in which you can win the catalogue as well as exhibition tickets and tote bags is on until Monday. So don’t miss your chance. The exhibition is wonderful but I guess not all of you will be able to go and see it. 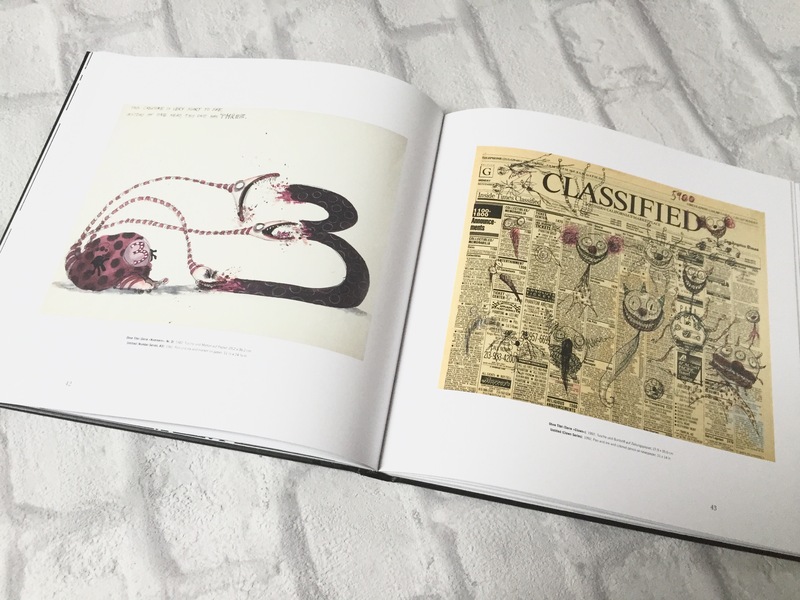 A catalogue is a wonderful way to get an impression of an exhibition. Art books are what remains after exhibitions are over. That’s why they are so special and worth collection. 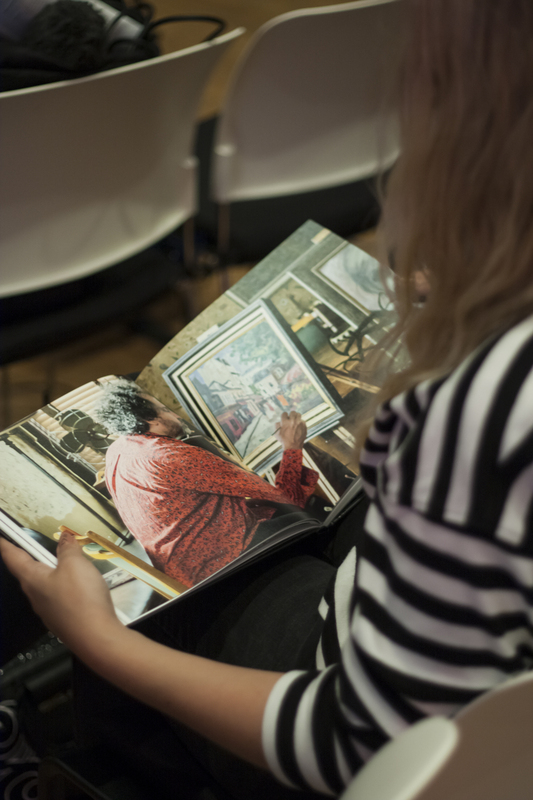 If you can’t collect art because it’s expensive, collection art books can be a good alternative. 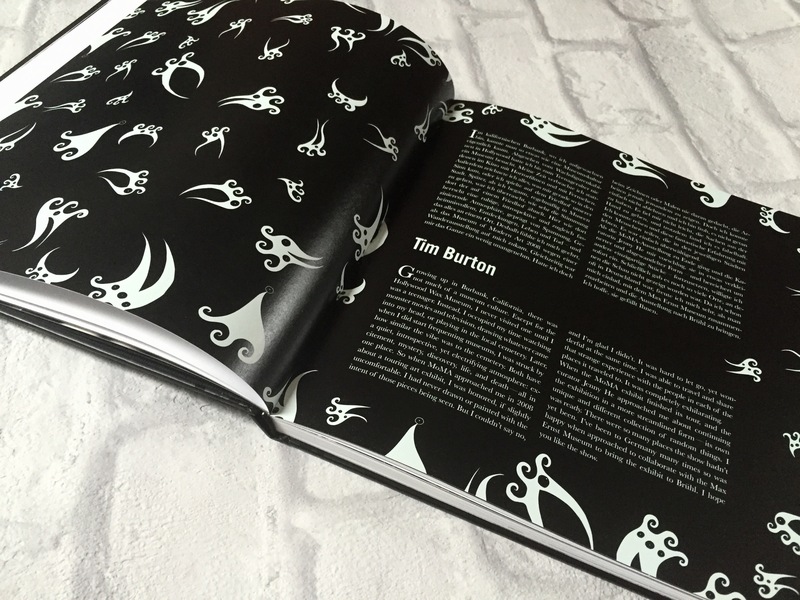 The catalogue about the recent exhibition “The World of Tim Burton” was especially designed for the show at Max Ernst Museum. It’s very classy in its proportions and with 120 pages a decent catalogue size. 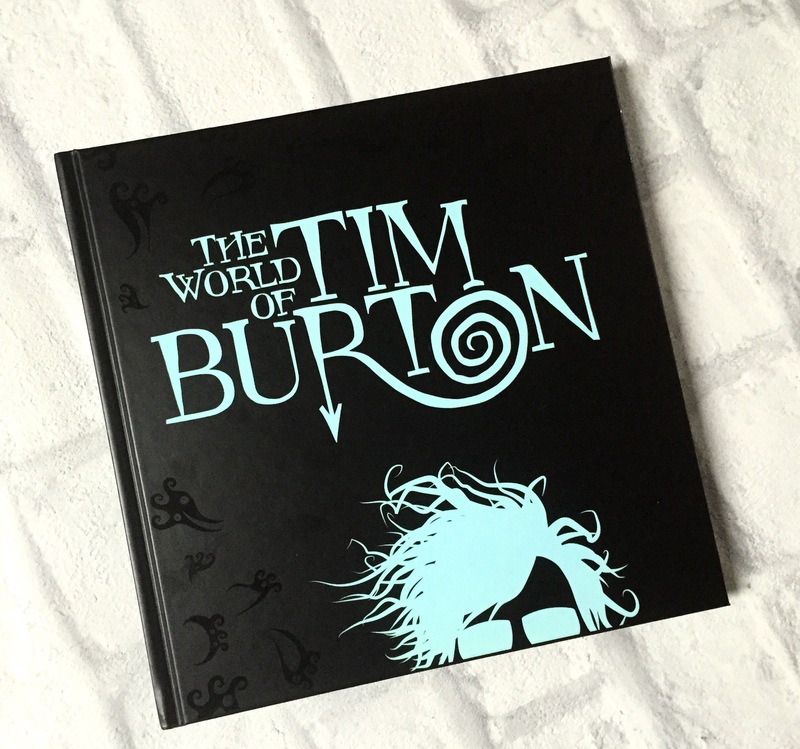 If you want all of Tim Burtons art works in one book you have to get “The Art of Tim Burton”, but that one is really expensive and hard to get. Well you could buy it at the museum shop at the moment. If you don’t want to spend a fortune this one is your choice. The book has a very nice cover showing the exhibition title on black ground. The coolest thing is that it will glow in the dark. It’s so funny if you leave it on your night table 😉 Furthermore it’s made with really great paper, it’s pretty thick and has a high quality feel to it. Like all art books it starts with some texts. The preface is written by Prof. Jürgen Wilhelm (Chairman of the Board, Max Ernst Foundation). The Foreword is written by the museum director Achim Sommer and the exhibition text by independent curator Jenny He. She also curated the original exhibition at MoMA, New York. She’s a true expert about Tim Burtons art and made all the choices what to show from his private collection in the beginning. The last text is by Tim Burton himself! I really like that one. It shows that he’s a really nice person and truly interested in his fans. That’s also the impression I got at the press conference. The next “chapter of the book is called the interview. You can read an almost private talk between the director, the curator Patrick Blüml and Tim Burton himself. It goes on for ten pages and gives you some background about the exhibition and how it came to Germany. The whole interview is supported by scenes and pictures out of the movies and other sources which were important for the exhibition, also why it ended up at monographic Max Ernst Museum and not somewhere else. After the interview you get tons of pictures of his work. It’s so much fun to go through it because you will find drawings and paintings you’ve never seen before. At the end, after all those pictures, you will find Tim Burton’s biography on 18 pages with more scenes and behind the scenes photos of his movies and his life. This is an art book I will read again and again I guess whenever I am in the mood for a burtonesk feeling. Especially if I don’t get the time to watch a movie.